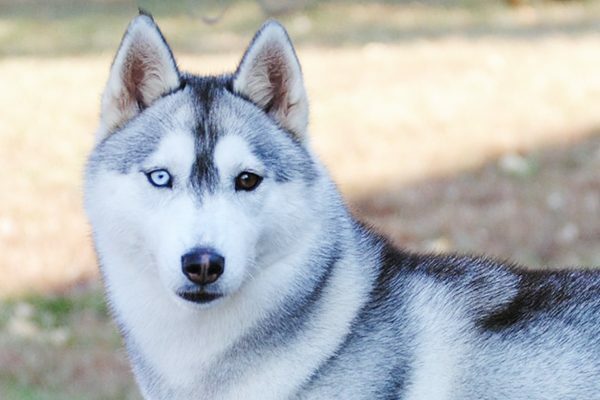 The post Dogs With Blue Eyes: Meet These 6 Dog Breeds by Lynn M. Hayner appeared first on Dogster. Copying over entire articles infringes on copyright laws. You may not be aware of it, but all of these articles were assigned, contracted and paid for, so they aren’t considered public domain. However, we appreciate that you like the article and would love it if you continued sharing just the first paragraph of an article, then linking out to the rest of the piece on Dogster.com. Siberian Huskies make our list of dogs with blue eyes. Photography courtesy Eileen M. Gacke, shca.org. We’re one of few breeds carrying a gene that can give rise to exquisite blue eyes. Aside from being among dogs with blue eyes, let’s talk arctic adventures. We were developed thousands of years ago in northeastern Siberia by the Chukchi people. Bred for endurance, our forefathers provided transportation over expansive areas. We were also bred for adaptability, enthusiasm and gentleness. And we socialized easily, sleeping with families on especially cold “three-dog nights.” Our breed standard calls for almond-shaped eyes of brown or blue. We can have two brown eyes of any shade, two blue eyes, one eye of each color or two colors in one eye! Our coat, by the way, varies in color, too, ranging from black to pure white. Our beauty is only surpassed by our sense of adventure: bring it on! Border Collies can have blue eyes, too. Photography courtesy Amanda Labadie, manymuddypaws.blogspot.com. We’re an exceptional herding dog, bred in the British Isles to control stock with an intense gaze. People say we’re the most intelligent dog breed. Who are we to argue? For good reason, we’ve been asked to explain the complicated merle (as it relates to blue eyes) topic. We Border Collies may have merle coats. Merle simply means our coats have an overall dilution of colors with streaks or splotches of darker colors. The more pigment dilution, the more likely we’ll land among the dogs with blue eyes. Now here’s an important health consideration: The merle gene is essentially a dominant gene. A dog carrying a merle gene will be a merle. 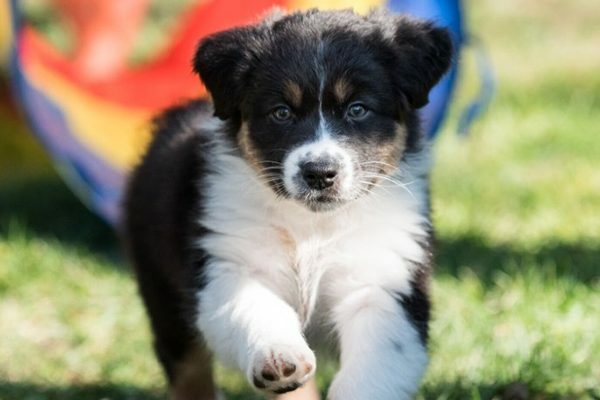 A problem arises when both parents are merle, for double-merle offspring are at risk for serious medical problems, such as deafness and blindness. But in general, we merle (occasionally blue-eyed) beauties are healthy, eager to work and devoted companions. Love dogs with blue eyes? Some Australian Shepherds fit the bill. Photography courtesy Moira Cornell, asca.org. Photography by Bethany Howell, Dogs in Motion Photography. We’re a dog of action, developed in the States to herd and help ranchers all day long. We herd with a loose style, using all of our skills (including throwing an elbow or hip!) to effectively control livestock. 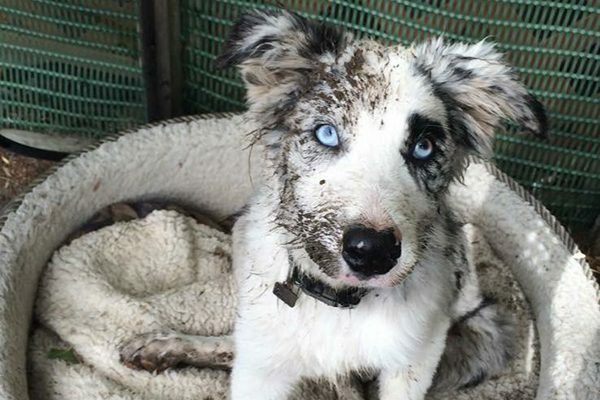 Some of us have beautiful merle coats, and the occasional blue eyes may be an extension of the merle pattering and are what secures us a spot in this roundup of dogs with blue eyes. Some of us may inherit a blue-eyed gene, too. Our expressive almond-shaped eyes, by the way, can be brown, blue, amber or any combination. We think we look especially exquisite when we have one blue eye! 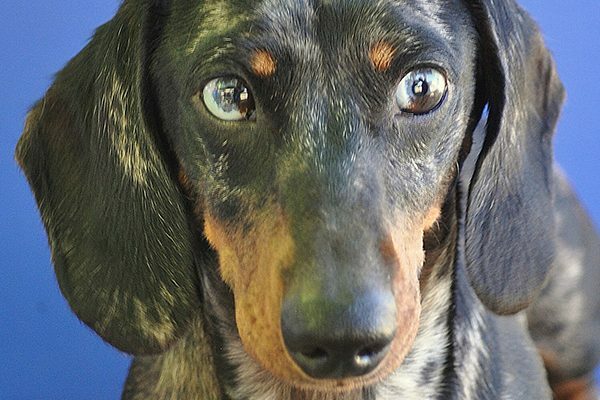 Dachshunds may have blue eyes. Photography courtesy Vicki Antonio, dachshundclubofamerica.org. Tough and determined, we were bred long ago in Germany to hunt badgers and vermin. To work underground, we needed a unique body shape. Our elongated rib-cage lets us efficiently process air. Our short legs fold readily, making for easy movement in tunnels. Some of us have a dapple (merle) pattern, expressed as lighter-colored areas up against the darker base color. And some dapples fit the bill for dogs with blue eyes with their partial or wholly blue eyes. Regardless of color, our eyes possess an energetic, agreeable appearance. 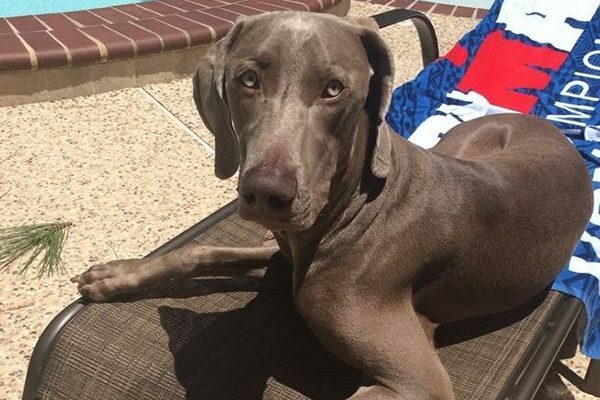 Weimaraners are among the dogs with blue eyes. Photography courtesy weimrescuetexas.org. Some call us the “gray ghost,” referencing our elegant silver-gray coat. Some of us also have distinctive grayish-blue (but not pure blue) eyes. Colors aside, we were developed in Germany to hunt big game, and in time to hunt smaller animals. We’re celebrated for endurance in the field and courage. We’re also lauded for our exceptionally high energy. We can hike, jog, retrieve and excel in field trials. Primarily when you look into our eyes, you won’t be thinking about color. You’ll be noticing that our animated eyes have an expectant, “what shall we do now?” spark! Cardigan Welsh Corgis are another dog breed that might have blue eyes. Photography courtesy Amanda Labadie, manymuddypaws.blogspot.com. Alert and dependable, we were bred to handle livestock and for overall farm duty. These days, we continue to exhibit a strong work drive, and can garner accolades in any dog sport. We’re star pupils of obedience and herding in particular. Now, instead of talking (yet again!) about how our short legs helped us avoid cattle kicks, let’s focus on color. Our coat comes in many shades, including red, sable, brindle, black and blue merle. Some of us blue merles fit the bill for dogs with blue eyes, or even one dark and one blue eye. What surprises most people is not my eyes, but how agile and quick I am! Thumbnail: Photography courtesy Amanda Labadie, manymuddypaws.blogspot.com. 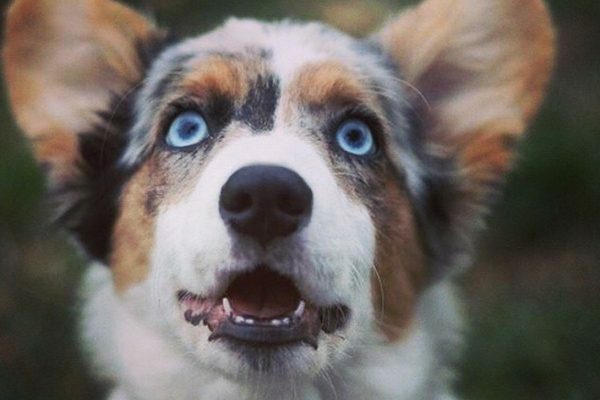 Tell us: Do you have dogs with blue eyes? What breed or mix of breeds are they? Dog breed profiles help everyone, whether you have a mixed breed or purebred dog, to better understand and improve the quality of your dog’s life. If you have a mixed breed dog, read up on all of the breed profiles that make up your dog. Not sure what breed your dog is? There are a number of easy DNA tests out there to help you find out.